Kornelis is no stranger to creating solutions for food companies. The company has been FSSC 22000 certified since 2013, guaranteeing the food safety of its products throughout the supply chain and has created innovative closure solutions during the past few years for brands such as SunPat, Pip & Nut, Canderel, Beanies and more. 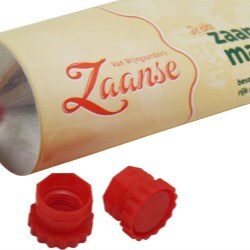 The tube cap incorporates a twister mould which provides a more secure cap thread and benefits by being tamper evident too, guaranteeing the safety of the contents until the consumer chooses to open the cap. 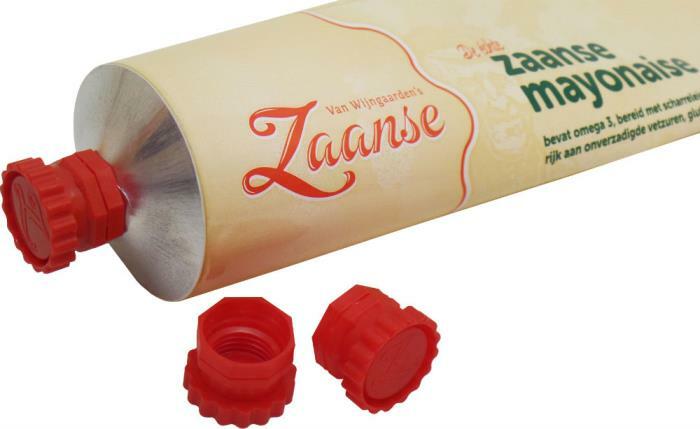 Furthermore, the cap benefits from larger ridges making it easier to open and enjoy the product for those who are less adroit in opening caps and lids. For enhanced company branding, the Zaanse is featured as an embossed logo on the top plane of the cap, offering the fingers a further tactile delight and a visual vamp for the eyes. The hue of the cap has also been colour-matched to that of the logo to ensure stylish coordination between the cap and the tube. This is not the first time that Zaanse has requested the expertise of Kornelis. 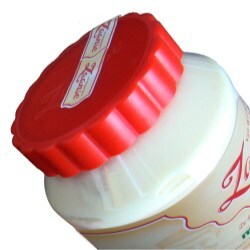 Prior to launching its mayonnaise in tubes, Kornelis created the bespoke cap for the leading Dutch brand which is used on its jars.